Many changes are happening around my house. So many things to praise God for and to be excited about! 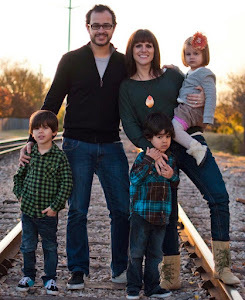 We spent a month traveling over the holidays, came back and got in the groove of home educating, my husband and I are walking through a program for church planters, and on and on the list goes. One of the biggest changes I want to share (really I want to shout about it) is that our 6 year battle about food with my oldest son is over. Done. We started the GAPS Intro diet and it was the biggest challenge of motherhood to date. Including my insanely long childbirth with my oldest son. There were tears, there were detox symptoms, there was vomiting, a ton of time in the kitchen, and there was a whole lot of bribery happening. By the time we hit GAPS Stage 4, my son who detested meat and anything green was eating everything we put in front of him. This same son is our child that has had a hard time gaining weight since he was 8-months-old. Within two weeks of starting the diet he gained two pounds! I danced, I screamed, and then I called my mother-in-law. The diet blew the lid off of our grocery budget for three weeks, but if someone would have told me that GAPS would be the end to our war, I would have borrowed money to make it happen. Not only did we see an improvement with my son's taste buds and weight, but all of us have noticed great digestion, and we are all seeing mental, behavioral, and emotional improvements. We are now working our way back into the full blown GAPS diet (which is where we have been for the last year without grains on a paleo diet). Liver can be tough to get past mentally, but there are plenty of benefits to eating this typically detested food. Liver is high in B vitamins, iron, vitamin A, vitamin D, vitamin K, magnesium and many other minerals and nutrients. These vitamins and nutrients reduce fatigue, boost brain power, helps heal leaky gut, and eating liver is nourishing for your liver. There is a little validity to the concern over the liver having some toxins; however, "toxins the body cannot eliminate are likely to accumulate in the body's fatty tissues and nervous systems." (read more here) Based on everything I have read, the benefit of the antioxidants, vitamins and nutrients in the liver far outweigh the cons, and I highly recommend getting liver from grass-fed and organic cows. Grass-fed and organic cows do not have to try to eliminate pesticides, hormones, and antibiotics. I was hesitant to take the plunge into organ meats. In fact I had a beef liver sitting in my freezer for 6 months and in a frenzied decluttering binge I threw it out. So when I read that liver helps get over leaky gut and was so high in nutrients, I decided it was time to order more through our beef co-op. When the order came in I turned to my beloved Nourishing Traditions book, called one of my best friends for a pep talk, and then got to it. - Once the liver was soaked, I drained the lemon juice, and put the liver in my food processor. Yes, this was a bit strange. 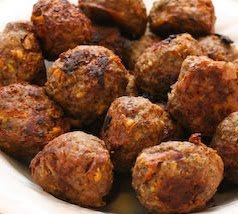 - I replaced 1 lb of liver for 1 lb of pork in my meatballs, and I also added a few stems of fresh basil to the recipe. Then I waited. My family ate them and really enjoyed them. There was a nice rich flavor, and everyone said that they were my best yet. Once dinner was over I broke the news. My sons shrugged, and my husband wondered why I was secretive about it because it wasn't a big deal to him. Making broths, and fermenting teas and milk was a part-time job for a while. I am thankful that God has provided so many resources for us to nourish our bodies well. By His grace, I will continue to share what I am learning and what our Crunchy Bunch is up to. Way to go, Niccole. Though ive never done it, I know GAPS is intense, and I reAlly love that you continued your search in 'healing' your gut rather than giving up. That's very easy to do (giving up) especially when you have so much on your plate already. Funny...I was asked about it recently, and I couldn't give them first hand experience or even give a resource of someone who has. Now I can. Would love the tea recipe when you get a chance. I am just wondering... How do you deal with detox Symptoms? Or was your son not in School? We are wanting to try these things in our home but have 4 children 6 and under!